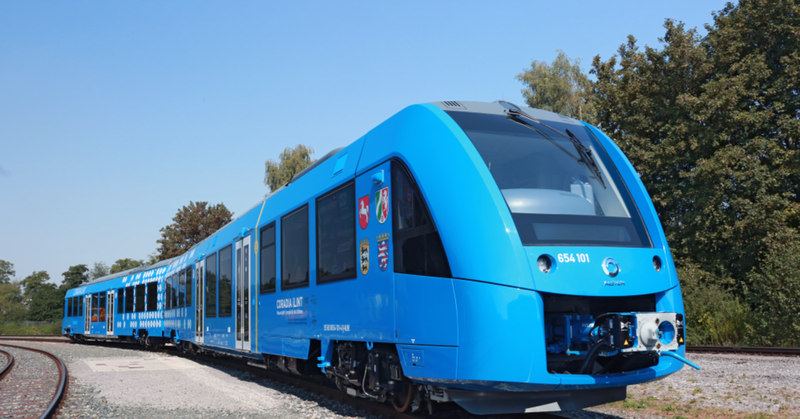 The European railways manufacturer Alstom has begun operation of what it calls the world's first hydrogen fuel cell train. The new trains will transport passengers along 100 kilometres (62 miles) of track and will be capable of travelling up to 1000 kilometres (621 miles) on a single tank of hydrogen. These trains will run between the locations of Cuxhaven, Bremerhaven, Bremervorde and Buxtehude. "The world's first hydrogen fuel cell train is entering passenger service and is ready for serial production," Henri Poupart-Lafarge, Alstom's chairman and chief executive officer, said in a statement Sunday. "The Coradia iLint heralds a new era in emission-free rail transport," Poupart-Lafarge added. "It is an innovation that results from French-German teamwork and exemplifies successful cross-border cooperation." Although hydrogen fuel cells are more expensive than traditional batteries, they do carry additional advantages. Instead of recharging them like an electric battery, fuel cells only need to be refilled like a gas or diesel engine. Furthermore, as the trains will be running on a timed schedule, refuelling infrastructure will be easy to be accommodated.